This exhibit was created by Mary D. McConaghy, with the assistance of Jennifer Reiss C '07, a University Archives Research Fellow during the summer of 2005. The University Light Infantry, Penn’s militia during the Civil War, was first organized in the spring of 1861 as an infantry company, but the company had no drills or other activities for the next year. It was not until 1862 that the group really began to function. 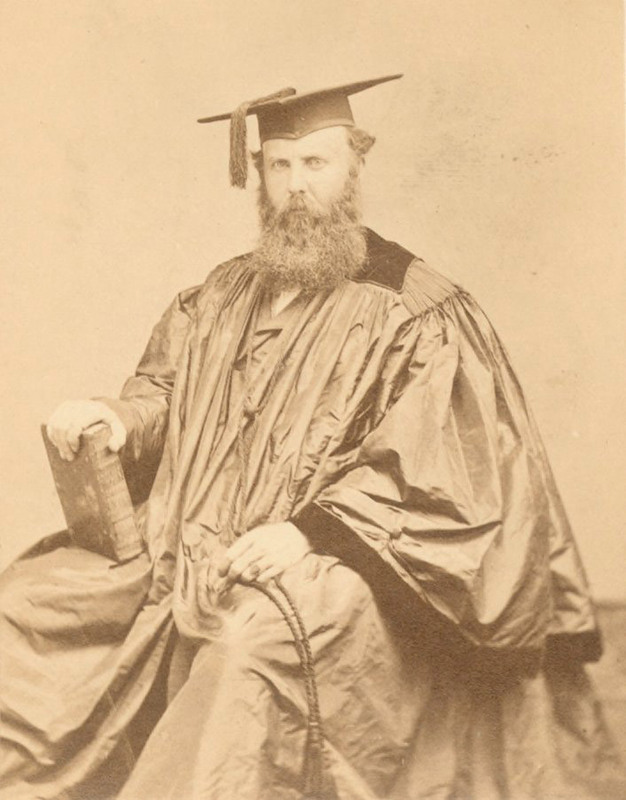 It was enthusiastic, disciplined R. Somers Hayes who gained the permission of the College authorities to reorganize the company as an artillery company during the 1863-1864 academic year. The Students of the University (except such as are exempted for special reasons) are organized and uniformed as a Company of Light Infantry, and meet for drill, in the College Yard, or at their Armory (in the Old Academy), Mondays, Wednesdays and Fridays, at a quarter before 2 o’clock P.M. Although the Catalogs state that all University students were to participate, there is no evidence that any of the corps members were drawn from the medical or law schools. Instead the company was made up entirely of College students. Much to the dismay of the student officers of the company, even undergraduates found it easy to be permanently excused from drills if they had no interest in military drill. Third Corporal, Edward Pepper, Jr.